We are pleased to announce a special offer on Motor Yacht CAPRI, 58m Lürssen. We are pleased to announce a special offer for CAPRI, 58m Lürssen. 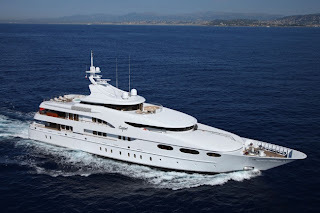 Experience the beauty of the Indian Ocean on board 58m CAPRI relaxing on the large sundeck or in the Jacuzzi. Stay fit in the gym or dive into the ocean from the swim platform to have fun with the extensive list of available toys. CAPRI accommodates up to 12 guests in 6 cabins. Blending a mixture between formal and casual throughout, she features a wide range of modern facilities.